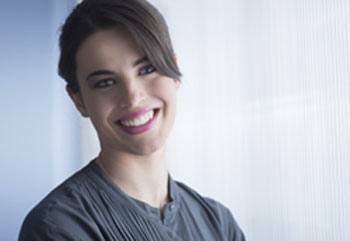 If you wish you had a more attractive and confident smile, Dr. Givan can help. Every year, patients come to our Fort Worth office wanting a whiter or straighter looking smile. And because we offer teeth whitening, porcelain veneers, bonding and orthodontics, we're happy to help. With our team's expertise and commitment to patient satisfaction, we will help you achieve the beautiful results you've been dreaming of. At your first appointment Dr. Givan will assess your needs and talk to you about your goals. He'll also study your medical history. Then, based on the results of your consultation, he will explain how he can help you. Many patients only need one cosmetic service to achieve their goals, while others may benefit from a combination of services. Whatever your needs, you can trust us to create dazzling results. Porcelain veneers use thin pieces of dental porcelain to help you transform the appearance of stained, cracked, chipped, or oddly spaced teeth. Typically, a full porcelain veneers procedure takes about two visits to complete. In the first visit, we will prep your teeth and design your veneers. We’ll also attach a set of temporary veneers to help you protect your teeth between appointments. When your veneers are ready, you’ll come back to our office and have them replaced with your finished veneers. Teeth whitening helps you brighten the shade of dull, yellow, or otherwise stained teeth. There are many reasons our teeth can become stained, with the most common cause being the foods and drinks we consume. But staining can also be caused by tobacco use, aging, and certain prescriptions. To combat staining, we offer at-home teeth whitening. The at-home system uses custom-made whitening trays and comes with a supply of whitening gel. Are you ready for a more confident and beautiful smile? Give us a call to schedule an appointment with Dr. Givan. We're happy to offer general, cosmetic, and restorative care to patients in and around Fort Worth.